Dr. León has participated as a founder member of the International Association of Medical Sciences Educators (IAMSE). 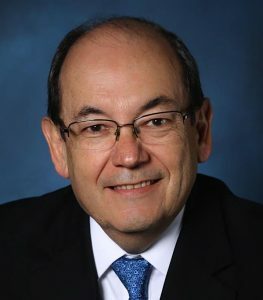 He has held different positions in the Mexican Association of Schools and Faculties of Medicine (AMFEM in Spanish) and in 2015 he became President, his term ending in 2017. He has also served as Vice-President of the Pan-American Federation of Associations of Medical Schools (PAFAMS) from 2013 to 2016 and in June 2016 he was elected President of PAFAMS for the next 3 years.